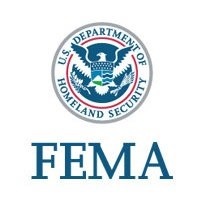 WASHINGTON — (RealEstateRama) — Throughout the month of April, FEMA, in partnership with the Financial Literacy and Education Commission (FLEC), is celebrating National Financial Capability Month. Personal financial planning helps individuals and families prepare for disasters both big and small. Many people have experienced the challenges of rebuilding their lives after a disaster. In these stressful circumstances, disaster savings can help individuals, families, communities, businesses and organizations bounce back quicker and start the road to recovery. Prepare for the risks where you live. Personal financial planning helps families prepare for disasters both big and small. Create a rainy day fund. Consider saving for disasters by setting aside money for unexpected costs including hotel stays, food, gas and insurance deductibles. Check your insurance coverage. Having insurance for your apartment, home or business property is the best way to be sure you will have the necessary financial resources to help you repair, rebuild or replace whatever is damaged. Have all the documents and digital copies you need to protect yourself after a disaster. Use the checklists in the Emergency Financial First Aid Kit (EFFAK) and see if you’re missing anything. Each week throughout April, FEMA’s Ready Campaign is hosting social media events to talk about planning, budgeting, saving money for disasters and emergencies, and the importance of having insurance coverage. – 3 p.m. ET, April 2. Facebook Live, Unlocking Your Financial Future: Build it. Grow it. Secure it.This event will kick off Financial Capability Month and share tips and resources on financial preparedness. Go to Ready Facebook. – 4 p.m. ET, April 17. Webinar: Money Matters: Resources for Youth in Financial Preparedness. FEMA’s Youth Preparedness Council members and stakeholders will discuss saving strategies and tips. Register for the webinar here. Find out more by following #FinancialFuture2019 on social media and visiting ready.gov and usa.gov/flec. FEMA’s mission is to help people before, during and after disasters. Follow FEMA online at www.fema.gov/blog, www.twitter.com/fema, www.twitter.com/FEMAespanol, https://www.facebook.com/FEMA, www.facebook.com/FEMAespanol and www.youtube.com/fema. Also, follow Acting Administrator Pete Gaynor’s activities @FEMA_Pete.